There are many colleges in the University of Delhi for science stream students. A few of them are Hindu College, St. Stephen’s, Hansraj College, Miranda House, Venkateswara College, Gargi College, Ramjas College, etc. One such college is Bhaskaracharya College of Applied Sciences. Named after the famous a great mathematician and astronomer of 12th Century Bhaskaracharya, the college was set up in the year 1995 and is affiliated to University of Delhi. The college spreads across a land of around 10 acres at Sector 2, Dwarka, New Delhi. Since it is in Dwarka which is famous for its greenery, the college to sits on a green belt of fauna. The view from the entry gate itself is a sight to behold by the viewer. Located in the prime location of Dwarka, it has good connectivity by road. There is a bus station in the vicinity of the college for students and staff who travel by bus. One can also reach the college by taking metro and getting down at either Dwarka sec-10 metro station (take a bus from the metro station to reach college) or Dwarka Mor metro station (take a shared auto to reach the college). The college provides a separate parking area for the staff and students who commute by two-wheelers or cars within the college campus itself. ⇒ BSc (H) Biomedical Science: B. Sc. (Honours) Biomedical Science is one of the premium three-year degree course offered by University of Delhi. The Biomedical Science degree has been designed for students who wish to work in research and diagnostics laboratories in Research Organizations and Hospitals and wish to explore the molecular basis of various diseases along with their possible treatment. ⇒ BSc (H) Computer Science: The Department of Computer Science of our college conducts B.Sc. (Hons) computer science, a motivating and arduous course which equips students with strong logic and problem-solving approach. Over the years the department has evolved into a niche of excellence in academics, technology, and other activities. ⇒ BSc (H) Polymer Science: Nearly three-quarters of materials used in our modern society are made of polymers. The field of polymer science is fascinating, highly dynamic and interdisciplinary. 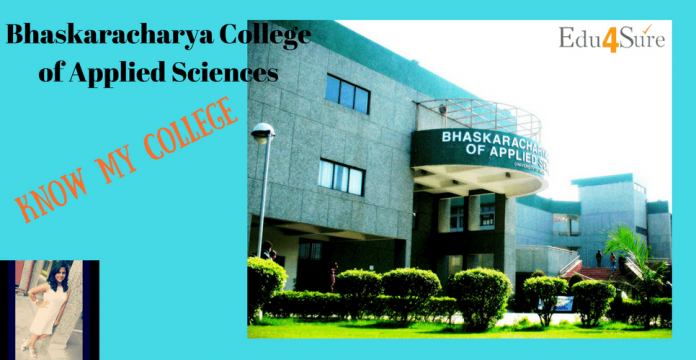 Bhaskaracharya College of Applied Sciences is the only college of the University of Delhi which offers Bachelor of Science course in Polymer Science. This program intends to impart basic knowhow of Polymer Science, Engineering and Technology. ⇒ BSc (H) Electronics: A degree in B.Sc. 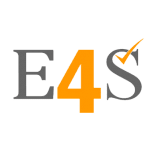 (Honours) Electronics covers all the aspects and key knowledge areas required to become a successful Electronics professional. It enables students to design and implement concepts of electronics and associated subjects. Provides students with skills which are required to design electrical, electronic, computer, automation, and communication systems. It includes courses on Analog and Digital Electronics, Signals and Systems, Electrical Machines, Communication, Microprocessor and programming languages (C and C++). Practicals based on simulators like p-Spice, Multisim, Qucs, MATLAB, Scilab, etc. are also included in the curriculum. ⇒ B.Sc. (H) Instrumentation: Instrumentation is a specialized field which deals with the science and technology of measurement.it finds its application in all branches of engineering and medicine. Bhaskaracharya College of Applied Sciences is the only co-educational college in the University of Delhi, offering a Bachelor of Science (Honors) Course in Instrumentation. The college has a specialized Instrumentation Laboratory which provides practical expertise to the students and trains them to design, develop, maintain and troubleshoot instruments that are being used in varied fields like Automation and Control, Process Industries, Medicine, Quality Control, etc. The Laboratory is equipped with state of the art instruments like NI ELVIS-II Educational Laboratory Virtual Instrumentation Suite supported by LabVIEW full development system from National Instruments and NI USB Data Acquisition Card, to help students interface and integrate real-time signals and software to simulate electronic circuits and designs. ⇒ BSc (H) Food Technology: Food technology is the application of food science to the selection, preservation, processing, packaging, distribution, and use of safe, nutritious, and wholesome food. Food technology course attracts a large number of students because of its novelty as an educational course and also because of the growing demand for food technologists in today’s world of packaged and fast foods. ⇒ BSc (H) Physics: Physics is the branch of science that examines and offers a logical framework to perceive the meaning of the world around us, focused on matter, energy, space and time. It is one of the oldest academic disciplines offered by the University of Delhi. The advances and understanding of this field have been translated into new technologies and new ideas. ⇒ BSc (H) Microbiology: Microbiology is one of the most dynamic areas of biological sciences, as microbes have immense socio-economic importance in our day to day life. These minuscule organisms play an indispensable and vital role in research in all areas of basic and applied sciences. It is an exceptionally broad discipline encompassing and integrating areas as diverse as Biochemistry, Cell Biology, Genetics, Molecular Biology, Environment, Agriculture, Taxonomy, Bioinformatics, and Biotechnology. Other than academics, the college has various clubs and sports activities in which the students can participate. ⇒ Dance club: The objective of the BCAS Dance Club ”Rage” is to nurture the talent, celebrate the diversity and give expressions to the creativity of young minds. It encourages students to participate in various inter and intra-college dance competitions. The club is actively involved in organizing various dance competitions in the college. ⇒ Debate club: The debate club aims to develop the debating skills amongst students. The club organizes intra-college quiz and debate competitions. ⇒ Astronomy club: Astronomy has been a very fascinating field of science since the creation of Universe. In order to ignite the young minds, the club organizes various educational visits and quiz competitions. ⇒ Film club: BCAS film club aims to entertain encourage and inspire the students with the screening of inspirational films related to various subjects like national pride, academic excellence, science, technology, and wildlife. ‘Jamnagar’ short movie was an achievement as it was selected for screening in the DELHI INTERNATIONAL FILM FESTIVAL. ⇒ Music club: The rock band by the name “Dhriti” is very active in giving performances at various functions. The college also has a choir group “Moksha” which performs at various inaugural ceremonies. ⇒ Photography club: The photography club, Clickeratti, aims at teaching its members the art of photography by using various aids and self-rectification of the instrument in case of minor faults. Many events including photography exhibition, photo contest still life and long exposure, pic of the day competition are regularly organized. ⇒ Yoga club: The yoga club educates students on various aspects of yoga. International yoga day is celebrated by the club actively. Students and staff participate in enthusiastically. ⇒ Fine Arts Club: The fine arts club Aakriti organizes various art exhibitions and poster making competitions for the students to showcase their talents. The club also organizes rangoli making competitions. ⇒ Dramatics Club: Darpan, the dramatic society of the college organizes plays on various occasions like Independence Day. Street play and mimicry acts are also staged. ⇒ Literary club: The literary club, Lit-Cultura, aims to faster the writer, the poet, the author in a student and give him the wings of imagination to fly high. The club organizes “Kavi Sammelan” and “Turn it around” during the annual college fest. ⇒ Eco club: Panahi, the eco club of the college is involved in activities towards creating environmental consciousness. Activities like card making competition, flower pot decoration, collage making competition are organized using the eco-friendly material. Plantation Drives are also promoted within the college. Recycling of paper is a regular exercise and these are used for various student activities. ⇒ Women development cell: Self-defence and self-protection are mandated for today. Women have to stand up on their own to defend their self-esteem and dignity. Keeping this in mind, the cell was set up. Various workshops on self-defense for girls are organized regularly in the college. ⇒ Anti-Tobacco cell: The anti-tobacco cell of the college organizes various events to spread awareness regarding the ill effects of consuming/inhaling tobacco-based products. Faculty and the students participate in the anti-tobacco awareness campaign organized by the University of Delhi in collaboration with the Ministry of Health. ⇒ North-east cell: This cell aims to bring people from the North East closer to mainland India. In this endeavor, problems faced by North East students are addressed. In the hope of amalgamating the cultural gap, special arrangements are made to organize North-east cultural programs. ⇒ Placement and career counseling cell: To prepare the students to face the upcoming challenges regarding their career, the Cell organizes various events. Pre-placement drives are organized on the campus by various companies to improve the chances of placement. ⇒ Bhaskaracharya cell: Bhaskaracharya cell of the college believes that pursuit of knowledge should be in harmony with ancient wisdom, present information, and relevance to the future society. Various activities are performed like the screening of documentaries etc. The college is well equipped with sports equipment. Board games like chess are common games played by students. Students and teachers also enjoy playing table tennis in the sports room. Other than this, the college has a basketball court, a badminton court, a football ground, a volleyball court and a cricket ground too. What’s more, you ask? The college has a fully functional gym at the disposal for student’s use. Annual sports day is celebrated each year in which many tournaments are organized. Awards are given to the winners and a parade with torch-bearing ceremony takes place. A three-story library is also a part of the campus. It is fully stocked with books related to the study material used in college. Novels like biographies and fictional books are also a part of the library. In all the college has a good environment to study in. The faculty is of good teaching potential and helpful nature. Various innovation projects are carried out by the teachers to enhance the knowledge of the students. Modern techniques are also used to clear topics like showing videos and presentations on the projector. The college has an audio-visual room too to conduct workshops and other activities. Seniors are very friendly and helpful to the juniors. The non-teaching staff like in the administration is there to answer any query at all times. To sum up, Bhasakaracharya College of Applied Sciences has a good reputation and offers a great experience of learning and growing to its students.